Birchbox is among the pioneers of beauty subscription boxes. Born out of two girls’ passion for makeup in 2010, today their baby has grown into a business with a subscriber base numbering in the tens of thousands. At the risk of sounding like a stereotype, I’ll ask, Is there a girl who isn’t obsessed with makeup? And what if I told you I got my boyfriend addicted to Birchbox as well!? Although he’s not big on spending money on beauty products, he enjoys the grooming gear he receives every month. The icing on the cake? He finds every Birchbox promo code to get the lowest price possible, and we both benefit from it! Marking our three-year anniversary this January, I was inspired to compile a list of all the discounts available when shopping with this brand, for men and women both! Birchbox is one of the cheapest beauty brands selling both individual products and subscription boxes. In addition, they have an entire page on their website with coupons and vouchers which only further increase your savings. Usually, every month brings new Birchbox coupon codes, so make sure you’re always up to date with the ongoing deals. Being among the most affordable brands, it’s not often that you can come across a code that cuts the price of the subscription itself. The coupons generally offer a certain discount when you spend a fixed amount of money with the brand. Also, the majority of the coupons I found promised a free gift. In October, however, Birchbox surprised its customers with 20% off any subscription. In November, on the other hand, Birchbox put forward a $10 discount on the annual subscription. Instead of paying $110 a year, subscribers could use the promo code for a Birchbox annual subscription and pay $99. The only catch was that buyers had to pay upfront. To exploit a promo code or discount or receive a free gift, merely enter the code with “Have a promo or gift card code?” during checkout. If the code you are using is valid, Birchbox will add the discount or gift automatically. In case the promo code is no longer redeemable, Birchbox will notify you with a message at the top of your screen. The most reliable source of any ongoing Birchbox coupon is, as expected, Birchbox’s official website. I subscribed to the brand’s newsletter the first time I started reviewing their boxes back in June. Ever since, I have been receiving the latest offers, deals, and active coupon codes straight to my mailbox. I saved over $100 over the last several months thanks to their coupons, and I received 10+ free gifts! Moving forward with my research, a lot of coupon websites such as RetailMeNot and Groupon proved to be fruitful while I searched for the latest Birchbox savings opportunities. Even though I didn’t expect to find any Birchbox subscription discounts, I was pleasantly surprised. Below, I will share my findings with you! Before I list all the discounts, it’s important to mention that customers can exploit only one discount per order. Hence, you can’t combine them. If you want to take advantage of more than one coupon, you have to place a new order. So before you enter the promo code you found (and if you don’t plan on making another order), make sure you are not missing out on another code that comes with more savings. This Birchbox subscription coupon is widely popular among subscribers. Exploiting the benefits of the promo code actually promises a full month for free. Instead of paying $60 for six months, you can receive your beauty boxes for six months straight for $50 only. 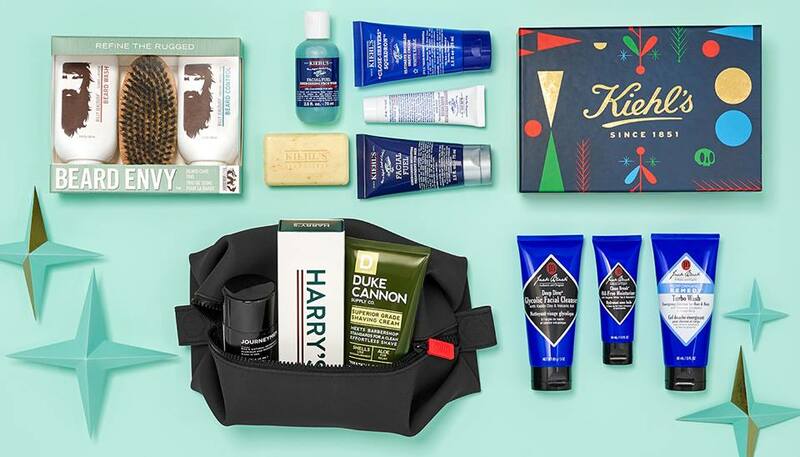 Birchbox includes enough discounts to encourage the men looking to improve their grooming efforts to subscribe to their services. Men get to subscribe for a six-month box delivery for $54 upon entering the exclusive Birchbox promo code. To sum up, this promo code offers $1 off per month, six months in a row. The best value package price is $110 per year. Even without a promo code, customers will enjoy a month’s free subscription. However, Birchbox went a step ahead, and now you can get the annual subscription for $8 a month, which sums up to $96 a year if you enter the promo code found on their website. Similar to the women’s annual subscription, the total cost for the Birchbox Man annual services is also $110. As mentioned above, Birchbox would hate to see their male subscribers feel neglected. So, they came up with a promo code that lowers the total of a year’s subscription to $8 per month. At $96 a year, men get to receive a top-notch box filled with samples from the greatest grooming brands on the market. Almost every brand I had the pleasure to review doesn’t stop at coupons as the only opportunity to save. When it comes to Birchbox, discounts are often accumulated into their limited edition collections, discovery kits, or Birchbox exclusives. They even offer the best sellers at sale prices. Let’s check these offers out! Whether you’re looking for the perfect gift for a friend or you want to treat yourself to some handy products, I strongly advise you consider these limited edition collections. When traveling, I always seem to struggle to fit all my essential cosmetics in my vanity case. Luckily, I discovered Birchbox’s Limited Edition Travel-Size Treats. It comes with seventeen travel-size and full-size products, which all fit into a single dopp kit. Even without a Birchbox promo code, you can get double (or triple) your savings by buying this kit for $45, valued at $211. For $58, customers receive eleven products that are suitable for everyone’s lifestyle. Regardless of whether you spend a lot of time at the gym or if you jump from one adventure to another, this limited edition box is going to spoil you. It features both travel-size and full-size products, and its market price is $168. Ordering this box from Birchbox is a one-time opportunity to save up to $110! Who said you have to be a millennial to enjoy all the stuff Generation Y does? Birchbox for sure didn’t! In a number of online Birchbox reviews, customers praise this limited edition collection as a celebration of youth! For the price of $36, both millennials and post-millennials get to have fun with the included phone accessories and feel pretty with top-notch cosmetics, all the while saving up to $105. Beauty brands are all about transformation, so imagine the combo when brand-names like Birchbox and Vogue collaborate! Much more than imagining, you can experience the transformation with their limited edition collection of seven products for $68, valued at $265. Even though you won’t be getting a Birchbox double box for the price of one, you can exploit Vogue’s 12 Issues for $15 offer when you order this collection. In addition, Celia Ellenberg, Vogue’s beauty director, included some useful beauty tricks your inner diva is going to appreciate! While writing this article, I decided it’s about time to try this collection on my own, and I was pleasantly surprised once again! Before I even got the chance to enter my payment information, they applied an additional 30% discount to my order total. The best part: I didn’t even use a coupon code; Birchbox, you rock! This cheerful box is going to trigger the glam that’s been hiding within you. Each box consists of ten top-shelf products, together with a pair of clip-on earrings. You can’t put a price on feeling beautiful on the inside and the outside, but if you must, why not make it the most affordable? Valued at $240, customers can get this box for as low as $66. Moreover, for a limited time only, the brand will apply an additional 30% discount before you check out, allowing you to save an additional $19.80. To wrap up the list of ongoing Birchbox deals, I decided to order this box and kill two birds with one stone. For our three-year anniversary (bragging intended), I chose the limited edition collection for men as the perfect gift for my boyfriend, and I also got the chance to see whether this box is worth it. Not only did my boyfriend style his beard (okay, maybe it was more of a gift for myself), but he also received a three-month subscription gift card. Having spent only $38 on this collection, I had enough money left to order a hair conditioner, and I didn’t even need a Birchbox coupon! As soon as I placed my order, I discovered a whole section of limited edition boxes for men. As a matter of fact, much to my surprise, there were more options for men than for women. If you want to check those out, visit the Birchbox Grooming section, found in the top right on their website. The discovery kits that allow users to test hundreds of products until they find the right match are possibly the most adored Birchbox promotions. There are fifteen kits you can choose from, from skin care kits to hair texturizing and nighttime necessities kits. All of these collections are competitively priced, and usually, they consist of ten products on average. In the discovery kits section on their website, you can also find some of their previous boxes. Current Birchbox subscribers can buy these boxes for $10, otherwise, they cost $15. If you’re a subscriber, the previous box you chose to order won’t replace your monthly delivery. Instead, you will get your monthly box while, for example, the August 2018 box you ordered counts as a Birchbox extra box.